Jiffy Airport Parking offers discounted rates to companies through our corporate program. Located less than a mile from the Newark Liberty International Airport, our prices for long-term parking are second to none – and by signing up for our corporate program, they get even better. Have you or one of your employees ever missed a flight because you were driving in circles trying to find parking? 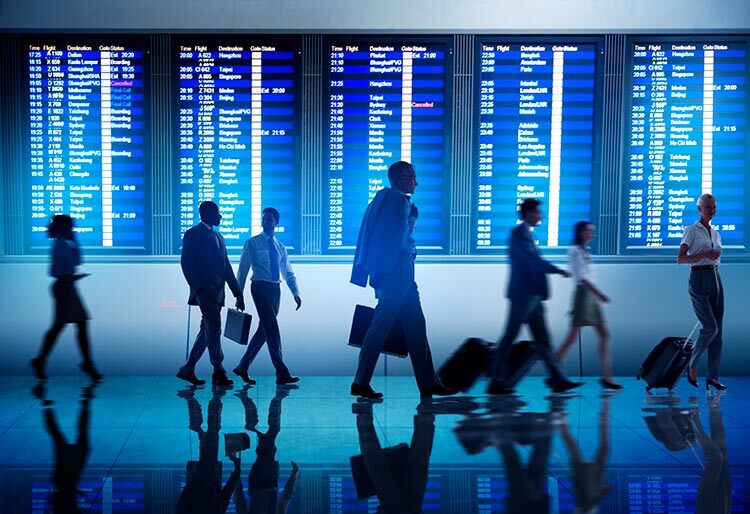 If your company goes on frequent business trips, then it’s most likely happened. The area around Newark Airport is extremely busy and one delay can result in missed meetings and lost sales. With the Jiffy corporate program, your employees can reserve a spot ahead of time to ensure guaranteed parking. By quickly grabbing a parking spot and hopping on our free shuttle service to the airport, your associates are also more likely to arrive on time to their destination and feel less stressed while traveling. Meanwhile, the low travel expenses help keep the company bank account happy. So how does the corporate airport parking program work? Simply sign up on our website. The form will ask for your company’s name, some contact information, how many employees you have and how often they fly from EWR. Then, when your employees come to Jiffy to drop off their vehicle, they can download your discount code to help reduce the cost of the trip. With a premium location by the Newark Airport, fast service and reliable long-term parking, you can trust us to help make every flight smooth. We even operate all day and all night, so parking for red-eye flights is covered, too. Simply fill out and submit the form to start getting great parking rates for all the fliers at your company. If you have any questions, call 973-242-0999.